The UN Human Rights Council falls seriously short in its mandate to ensure effective enjoyment by all of all human rights. It needs real reform—not another reform process. With the close of the UN Human Rights Council’s 36th session—the third consecutive session without substantive engagement by the US—an air of unease continues to hang over the body. The US threat to withdraw from the Council unless it reforms its membership, agenda and operations has created yet more soul-searching about whether the Council is fit for purpose. It does indeed need reform, but it does not need another reform process. The value of the Human Rights Council (HRC) to human rights promotion and protection should be beyond doubt. The Council is a dedicated political forum that ensures that human rights receive a high profile within the UN. Its broad mandate enables it to address all human rights in all places around the world. It offers representatives of civil society worldwide a platform to raise concerns about human rights. Its Special Procedures provide in-depth analysis of human rights themes and country situations and contribute to better understanding of human rights law. The Universal Periodic Review ensures that human rights in every UN member state are examined regularly and, more importantly, acts as a catalyst for national dialogue in all regions. Special sessions give the Council flexibility to respond to emergencies. It can establish universal human rights standards. Through its many valuable achievements, the Council has proven itself to be an essential UN political body. Nonetheless the Council, like the Commission on Human Rights before it, falls short of its potential. It is too often reactive and prone to double standards. Too many members demonstrate dubious commitment to uphold the highest standards in the promotion and protection of human rights, and some commit gross and systematic human rights violations. The Council’s programme of work is vastly overloaded. Days are filled with serial monologues, but little real discussion. Many resolutions are negotiated with minimal substantive examination of the issues at play. They are often repetitive and make little real contribution to human rights law and practice. Much of what the Council does remains in a Geneva bubble. It occasionally prioritises pet projects over common concerns and fails to follow through on the implementation of its own decisions and recommendations. The Council has become the basin where Security Council members wash their hands of responsibility for gross human rights violations. Indeed, many of these and other areas needing improvement depend largely on the behaviour of HRC’s member states and observers, which include other states, specialised agencies, other intergovernmental organisations, national human rights institutions and non-governmental organisations. Recognition of the need to improve HRC’s functioning and impact long predates the recent concern of the current US Administration. Those seeking to revitalise the HRC must look beyond US demands and avoid becoming enmeshed in rewriting the rules. The initial grand ambitions of the Council’s 2010-2011 review process were met by only modest results. Meanwhile, the review seriously disrupted the HRC’s regular business. In 2015 and 2016, Council presidents Rücker and Choi devoted considerable time and energy to lead efforts to improve the Council’s contribution to the UN’s human rights pillar, its efficiency and its effectiveness in promoting and protecting human rights. The improvements achieved were, by their own assessments, very limited. Additional ways must be found to deal with human rights violations in individual countries. Substantial time, energy and political capital go into the adoption of a small number of country resolutions. Which of those resolutions—many adopted year after year—result in tangible improvements? The effort that goes into some country-specific resolutions might be better invested in other ways. There is certainly room for more imagination in addressing visibly deteriorating human rights situations before they become chronic or crises. More attention must be given to preventing human rights violations generally. Early attention to Burundi in 2015 was a step in that direction, but more steps are needed. Members and observers would also do well to be more forward looking on thematic issues. 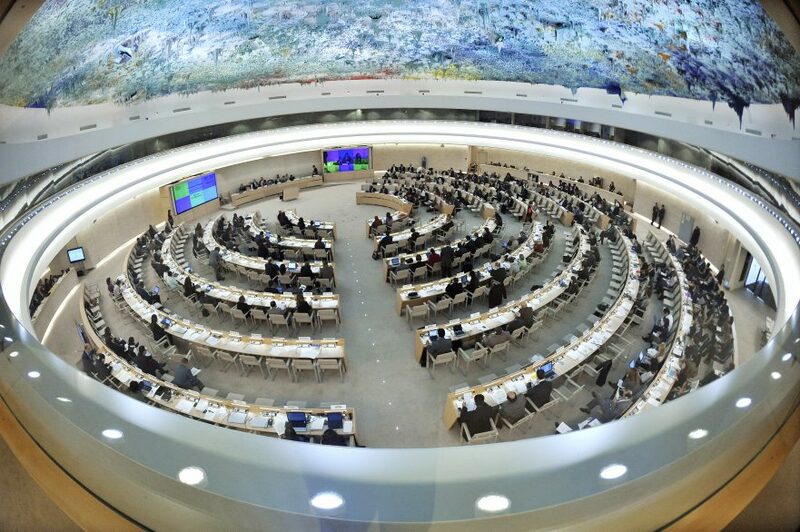 For example, biotechnology, the application of sophisticated algorithms in policing, the administration of justice, health care, and other domains, and ongoing efforts to develop general artificial intelligence all have significant human rights implications, where the HRC could help shape the necessary regulations. Human rights are often described as one of the three pillars of the UN, but much UN activity fails to reflect that. More needs to be done to ensure that substantive outcomes in the Council are catalysts for change, especially at the national level, where most improvements to human rights protection must be made. The High Commissioner for Human Rights and his Office must complement and be complemented by an effective HRC, while maintaining their independence. Members and observers should invest greater effort in connecting HRC work with that in other parts of the UN system. The Council now holds inter-sessional panel discussions, but why limit this to more talk? The periods between Council sessions could be used for sustained efforts to achieve more durable outcomes on challenging issues. There is no reason, for example, that a Council resolution must be adopted at the session in which it is introduced. Inter-sessional negotiations could be used to pursue better resolutions with broader support. The Council could also contribute to addressing some human rights issues more effectively by launching less politicised and more practical exchanges in other fora. The HRC’s momentous resolution on combatting intolerance on the basis of religion gave rise to the Istanbul Process, which embodies such an approach and can serve as a model for addressing other similarly challenging issues. The current turbulence offers opportunities for Council members and observers committed to human rights—acting alone or in concert—to offer new visions and improve working methods. If they do not seize the moment, then those states not committed to robust UN human rights engagement might well constrain the Council. Experience shows that while it will be challenging to make the HRC more effective, improvement can be achieved incrementally by doing. There is no need for another reform process, but for leaders in reform. Feature photo: A general view of participants at the 16th session of the Human Rights Council in Geneva, Switzerland. 21 March 2011. UN Photo/Jean-Marc Ferré licensed under CC BY-NC-ND 2.0. This article first appeared on OpenGlobalRights Perspectives on 29th September 2017, and has been reproduced with their kind permission.